It is pretty common for people to talk about the problems that exist out there in the world, and not so common for them to offer up a solution for the situation they have highlighted. When you consider the volume of information that we inflow, and how much of it comes in this form, you can see why people start to feel fatigued, and why they end up burned out, and why they don’t want to keep trying to choke it down. If the articles that you were reading did a little more than spread misery and a laundry list of outpoints; if they at least offered a few words of hope somewhere in the mix, it might be more palatable, if they researched enough to point to ways in which one might help that would be even better. Empowerment has to go beyond tearing down the oppressors – it has to give tools to the people who must navigate the aftermath of the demise of a status quo. Can you imagine how you might operate in a sphere where all the previous data is irrelevant, and there are no maps left that are guaranteed to get you from point A to B? We are quite capable of creating totally new situations, just by looking at what is wrong with the current situation, and changing it for the better. Or we might identify a new area of interest that has escaped the notice of most people. It is true that one can learn from the mistakes of the past, but it is also true that one may become so shackled to the notions of what is based on the notions of what was, that one fails to see the bright future of what might be. It may be true that an area has been devastated by a man made error, but that does not mean that it cannot be corrected. There are many innovations that come into the world that effect what some may have previously thought of as a miracle. Smallpox went the way of the dinosaur thanks to innovation. Flight once seemed a folly. A lot of what we take for granted in terms of technology at one point in time might have been considered impossible. Problem solvers are pretty easy to spot – they are often out front leading people in the direction they need to go, and they are achieving results. Problem solvers walk the walk and don’t just talk a good game. 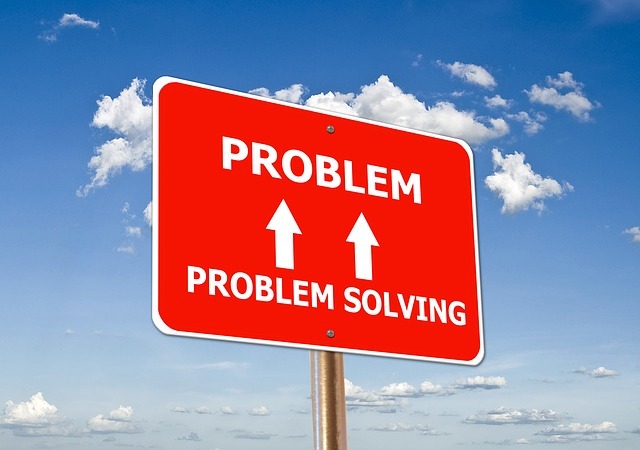 Where defeatists may focus on the problem and want to explore every facet of the failure at hand, problem solvers will be asking questions that drive everyone forward to an answer. It is great being able to spot that there is an issue that needs handling, but not trying to handle it make the spotting of it redundant. If you look around you and see which camp people fall into then it is easier to spot who you should ally yourself with. If you want to get things done problem solvers are the right people, and if you start hanging around with them, and emulating them – pretty soon people are going to see you as that same kind of useful individual.